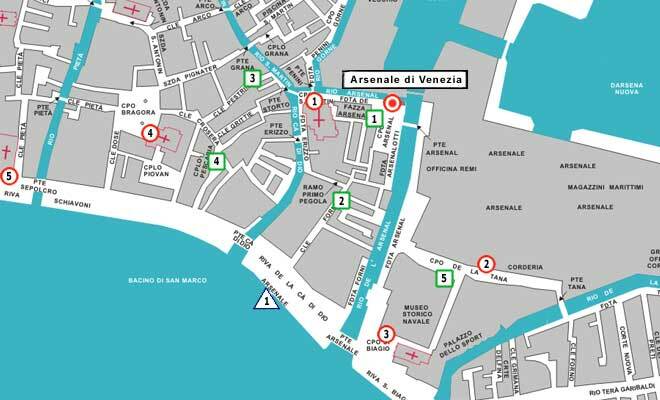 Venice Hotels Guide See Arsenale on the interactive Map of veniceXplorer. 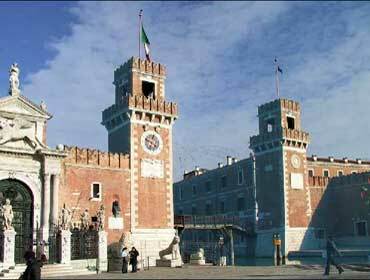 The Venetian Arsenal (Arsenale di Venezia) is one of the most important place in Venice. 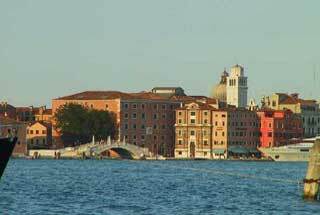 It was a shipyard and naval depot that played a leading role in flourishing Venetian empire. According to the myth, from the 8th century Venice had shipyards, that were scattered throughout the city. But in the early 12th century these spreaded shipyards became a menace of fires and in 1104 a centralized structure of Arsenal started to be built. The Old Arsenal was built between 1100 and 1300, and the New Arsenal complex between 1300 and 1400, while the Newest Arsenal was built between 1473 and 1573. Venice developed methods of mass-producing ships in the Arsenal, including the frame-first system to replace the Roman hull-first practice. At the peak of its efficiency in the early 16th century, the Arsenal employed some 16,000 people who were able to produce a whole ship each day, and could fit out, arm, and provision a newly-built galley with standardized parts on a production-line basis not seen again until the Industrial Revolution. 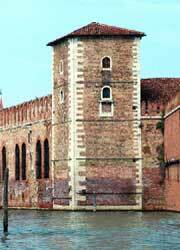 The Arsenal's main gate, the Porta Magna, was built in about 1460 and was the first Classical revival structure to be built in Venice. 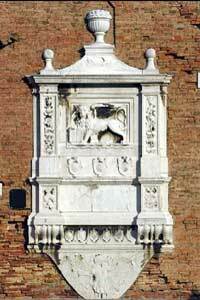 It was perhaps built by Antonio Gambello from a design by Jacopo Bellini. Two lions from Greece situated beside it were added in 1687. The Arsenal Novissimo was begun in 1473. It enabled the creation of a system similar to an assembly line, in which hulls were constructed in the newer areas of the Arsenal before being fitted out in the old Arsenal. Significant parts of the Arsenal were destroyed under Napoleonic rule, and later rebuilt to enable the Arsenal's modern use as a naval base. At present it is used as a research centre, an exhibition venue during the Venice Biennale and is home to a historic boat preservation centre.